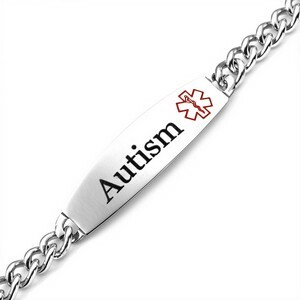 This stainless steel adult Autism bracelet is pre-engraved with Autism and a red medical symbol on the front. Made of hypoallergenic and non-corrosive 316L surgical stainless steel. 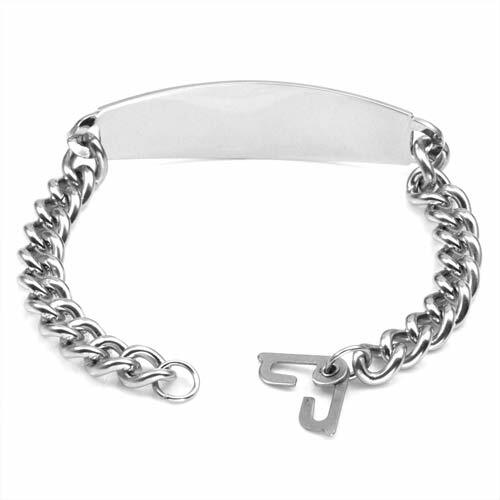 The standard Autism ID bracelet comes lobster clasp closure. However, the optional safety clasp option, also known as sister hooks, is designed to protect a loved one who may try to remove their medical ID. The clasp cannot easily be taken off without another's assistance, making it ideal for persons with Alzheimer's.